Church of Saint Frediano, Lucca, about 1250. 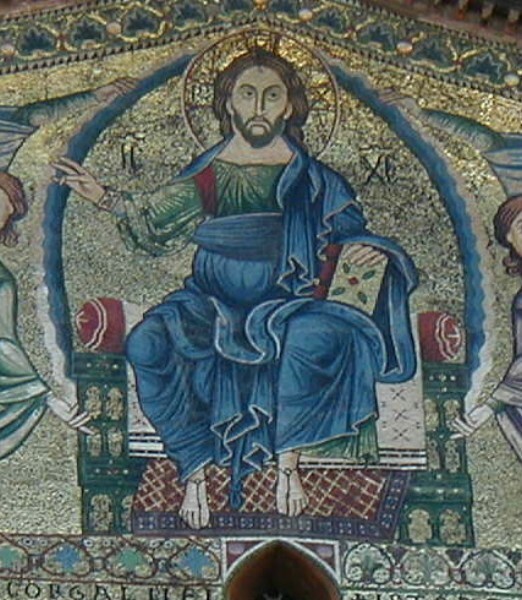 The mosaic was done by Byzantine artists brought by returning crusaders. Note strong similarity to the previous in Pisa. As Pisa and Lucca are not far apart, it is likely that the earlier work in Pisa influenced those working in Lucca.